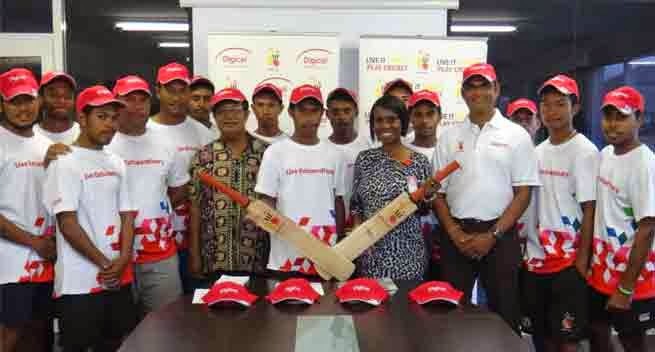 CRICKET PNG announces the fourteen-men Digicel PNG U/19 Garamuts Squad that will take part in ICC East Asia Pacific (EAP) Region World Cup Qualifying tournament which will be hosted in Blenheim, New Zealand from 24th February to 1st March 2015. CPNG National Selection Panel Chairman Api Leka announced the team and highlighted that he was happy with the talent that has been training under the guidance of Digicel U/19 coach John Ovia over the last five months or so. ‘’I must admit that I was very impressed with the talent that was displayed in the squad during their training and trial matches they played in-line with their preparations since September 2014. This shows that there is a good number of young talented cricketers coming through the ranks,’’ commented Chairman of selectors. The selection panel finalized the team of fourteen (14) players that will be travelling for the tournament and four (4) non travelling reserves following a hectic training schedule and the last two weeks of trial matches in Port Moresby,’’ Chairman Leka added. Young Lou Toua has been appointed as the captain of the team and will be assisted by co-vice captains Ovia Boge and William Aiga. PNG U/19 coach John Ovia was happy with the team that was finalized and said he is confident that the selected players will do the job for the country to qualify for the World Cup. “We have a solid record in the EAP Region as number 1 ranked side and I want to make sure that our status is maintained”. All players worked hard during the preparations phases with training and matches along the way. However, we could only take fourteen players and the selection panel selected the best team possible to represent PNG,” Coach Ovia concluded. The EAP Region qualifying tournament will consist four teams from the Pacific Region including PNG, Samoa, Fiji and Vanuatu. The winner of this tournament will earn a spot in the 2016 U/19 Cricket World Cup in Bangladesh. The runner-up team will go through another qualifying stage later on in the year. Fixture EAP Under 19 Tournament in New Zealand.